Yes, we are on the tail end of Skin Cancer Awareness Month (which is May in case you are already looking ahead to June in your jam-packed calendar); however, I think that going into the summer (especially) it is always a good reminder to protect your skin. 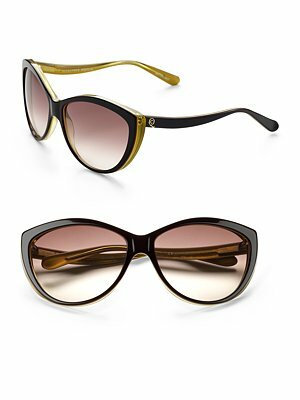 No, I’m not going to give you a list of the ten best brands of sunblock or a lesson on how SPF works (though you do need to apply it more than once, more like every 2 hours), instead I want to talk about 4 decidedly fashionable ways that you can protect your skin… in ADDITION to your daily SPF. 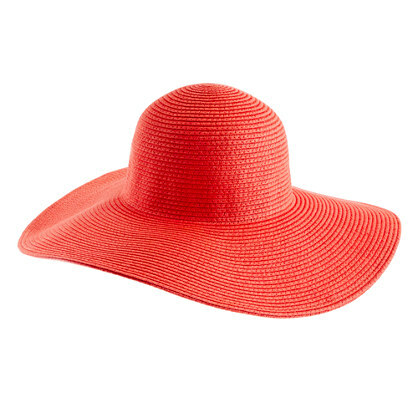 If you are going to spend the day at the beach or rather on the sand, or in the pool or rather on the pool deck (ladies you know what I’m talking about, you don’t get all glammed up to get completely drenched in the water) be sure to bring a hat and sunglasses! You would be surprised how many people get sunburned lips, scalp, or worse—eyeballs! In case you fall asleep reading your favorite summer novel, be sure to sport one of these J. Crew summer straw hats. They come in different colors but I am especially drawn to this papaya color… because if you are going to conjure your inner J. Lo, why not take it all the way? Plus at the price you could have a different hat for every time you hit the beach towel. As I stated previously you need both a hat and sunglasses (and unless you want to look like last year’s famous photo of Kim Kardashian with a sunglass tan, more like burn, be sure not to forget the hat). 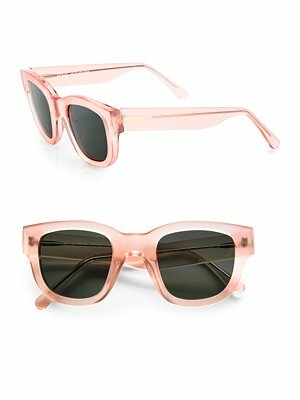 The most important feature of any pair of sunglasses is that the lenses provide you with 100% UV protection; if you are not sure please ask! Now, as you all well know I am a huge fan of sunglasses and so it was really hard to pick just one…so I picked three! Sometimes, after packing up the towel, the water, the snacks, the book, the radio, and perhaps even the kids you get to the beach and you discover it is just a tad bit cooler than you had anticipated. 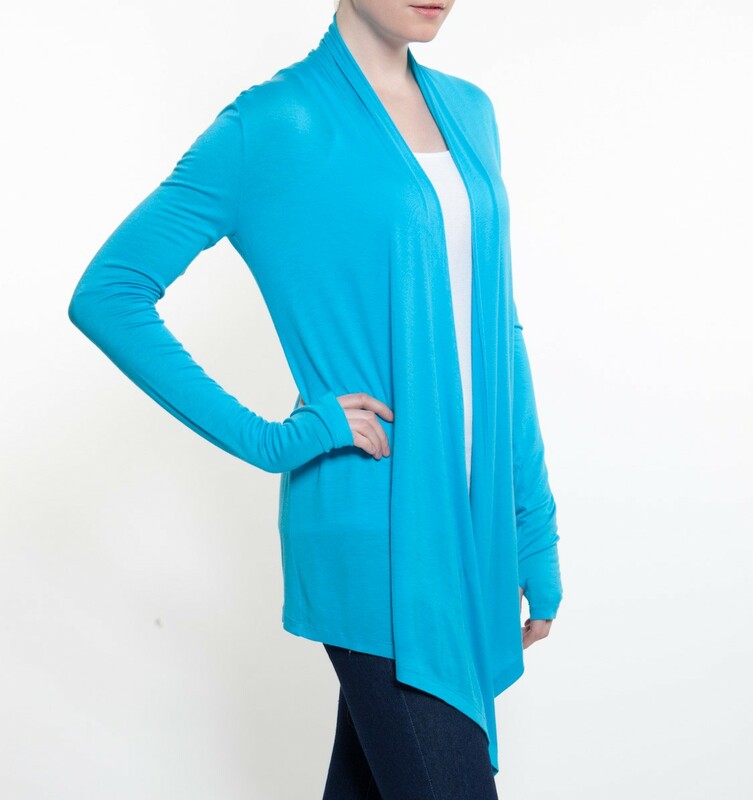 In comes the Mott 50 cardigan, designed to protect the skin from ultra violet rays. Don’t be fooled by cloudy skies or the cool breeze; the sun is still at work. Maybe you won’t necessarily be lounging in the sun for hours on end, instead you have several outdoor events to attend (work parties, weddings, barbecues). Then Neiman Marcus and Cover have you, well…covered, with their SPF 50 Racerback Maxi dress. Look chic and avoid a sunburn. Again, don’t forget your daily SPF!!! Sunscreen tips for a safer tan!